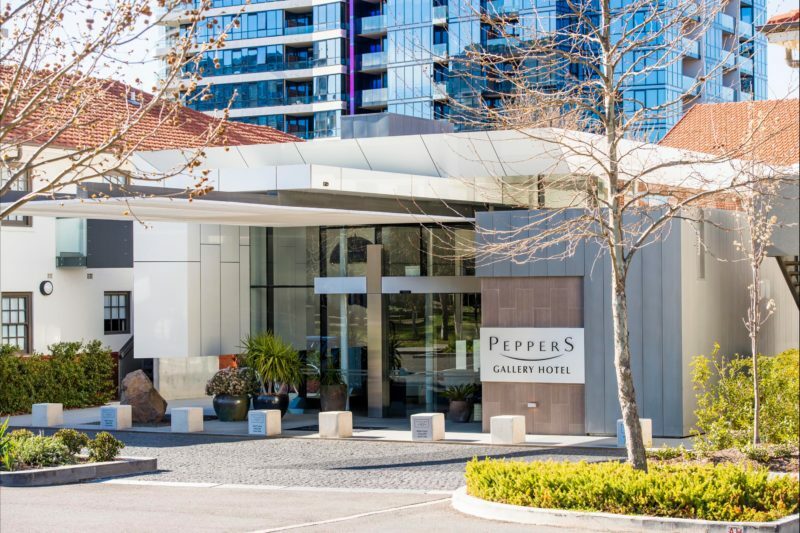 Peppers Gallery Hotel is part of Canberra’s first true urban village; immersed in a series of unique designer landscaped gardens and complimentary specialist retailers. Rooms, suites and apartments have boutique touches like Bang and Olufsen televisions, rain showers in the bathrooms, marble finishes and original art. 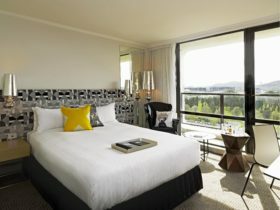 This spectacular luxury boutique hotel is positioned by Lake Burley Griffin. 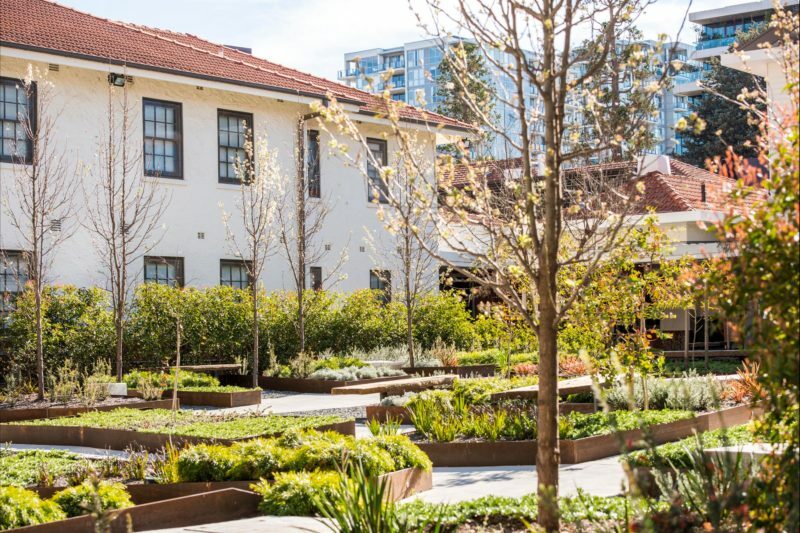 Originally the Hotel Acton building; this historical, heritage listed site has been transformed into the NewActon Pavilion. 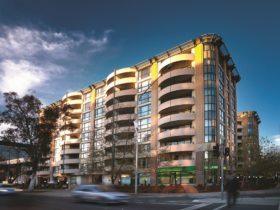 Stay there and find yourself on the doorstep of Canberra’s key cultural, entertainment, sport and commercial facilities. 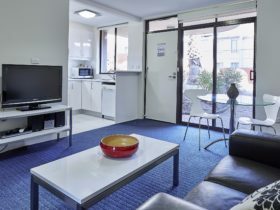 Self-contained with two bathrooms, the One Bedroom Apartment boasts a full kitchen, laundry facilities, private balcony, queen bed, complimentary car parking, MicroCloud bedding, digital television, air-conditioning, DVD/CD player, iPod docking station and work desk. Express check-out and 24 hour hotel service is included. The Two Bedroom Apartment is ideal with two bedrooms, bedding configured of a king in one room and other a queen bed in the other, your own private balcony, separate living area, full kitchen, and one car space. 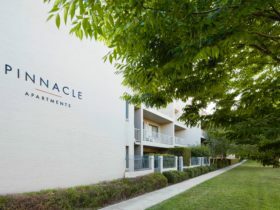 In the Three Bedroom Apartment you’ll enjoy a fully equipped kitchen, three bedrooms with their own bathrooms, a balcony, seperate living area, work desk, digital television and air-conditioning. 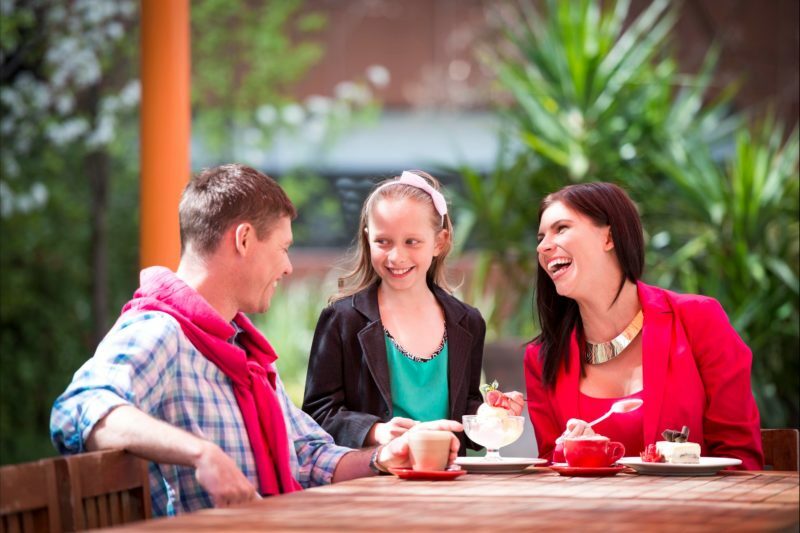 Access to the 24 hour hotel service and complimentary secure car space is included. The Hotel Room features a desk, queen bed, cable television, air-conditioning, DVD/CD players, iPod docking station, 24 hour hotel service and express checkout. Spacious in design, the Deluxe Rooms are decorated with modern artwork and include a queen-size bed, cable television, air-conditioning, DVD/CD player, iPod docking station, desk, express checkout and 24 hour hotel service. Unwind in your deep bath in the Deluxe Room, which offers a plush queen bed with fine linen. 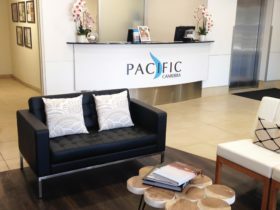 In-room facilities include cable television, air-conditioning, DVD/CD player, iPod docking station, work desk, the 24 hour hotel service and express checkout. In the Premier Room you’ll enjoy a plush king bed with MicroCloud bedding, cable television, air-conditioning, DVD/CD player, iPod docking stations, work desk, 24 hour hotel service and express checkout. Indulge in total relaxation by soaking in your deep bath then retreating to your king size bed with MicroCloud bedding. 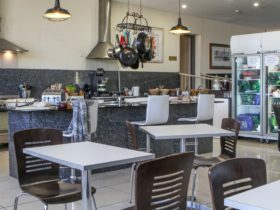 Facilities include cable television, air-conditioning, DVD/CD player, iPod docking station, work desk, 24 hour hotel service and express checkout. MicroCloud bedding, cable television and 24 hour hotel service.